Latest Google I/O conference of Google developers showed signs of upgrading the JellyBean to 4.3 and introducing new OS – Key Lime Pie. Lot of rumors have already been floating in market about which hardware will it be introduced on to. But still to go is the formal launch date of Key Lime Pie. Android 2.3, Gingerbread still shares the largest platform and users have still not upgraded from 4.0 to 4.1 and 4.2. In such conditions, launch of new OS may actually be a flop instead of a hero. Android 4.0 basically gave an identity to Google Nexus and were appraised by all segments. 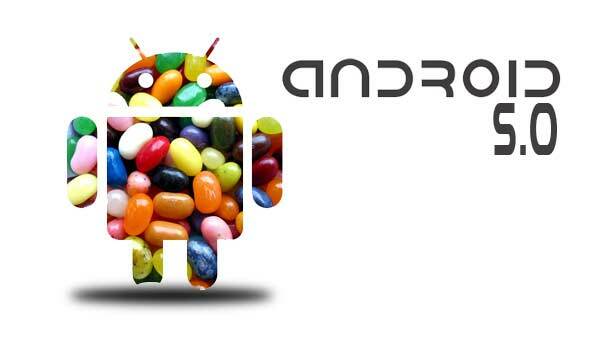 So in current scenario, Google will have to fight its own battle with Jelly Bean itself to become popular. We still don’t know the expected date of release of new OS but yes, we do have lot of expectations about few features. So let us discuss some of the expected features in Android 5.0 Key Lime Pie. Battery: Smartphones have a main problem of low battery. It is like carrying a desktop, whenever an application has to run for a long, you need to connect it to charger. It is rumored that new Android OS will work on Linux 3.8 Kernel, providing better battery life. Complete Backup: For now to take a full backup of Android, rooting the phone was essential, which led to warranty being null and void. It is now expected that Google will introduce a feature to take full backup of the data including photos, videos and text messages which are lost when changing handsets. Better Multitasking: Samsung S4 allows users to do multitasking, as in watch videos while replying to mails. Google is awaiting to bring such feature with Key Lime Pie for every Android user. Cross Device SMS sync: With this feature you can store all the text messages on SIM card and not phone hardware, thus they can be moved to different handsets. Better Social Media Support: Key Lime Pie will have a social media app integration tool to handle all the social media sites better than before. HTC and Sony already have this feature in their version of Android user interface. Offline Maps: Nokia allows users to download map and use them in offline mode. Also, iOS offers better privacy while sharing user’s locations. Latest Android is expected to add these features in Key Lime Pie to save battery and keep privacy. Multi-select in Contacts: Users would be able to scroll through the contact list and click on check boxes to help them in texting or mailing. Visual Voicemail: This app will be of great help to check if user has any urgent voicemail while he was in meeting. Search for my Droid: This would be most wanted feature after Google Now if incorporated in Key Lime Pie. It is simple but on everybody’s most wanted list. It requires GPS settings into the handset itself. Never Update Option: Users would be too happy to get a feature where no more pop-ups on updating an app. Thus users can stick to the current version of the app forever. Rachel Stanley works for an online organization who distributes Android Tablet PCs to college students. He is also a blogger and mostly writes for technology blogs.